Casa Aire is a unique house for two. 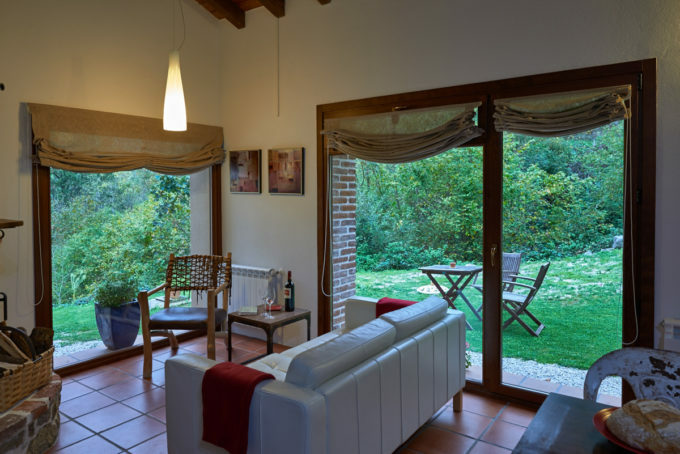 Comfortable sitting room with huge plate glass windows and views to forest. 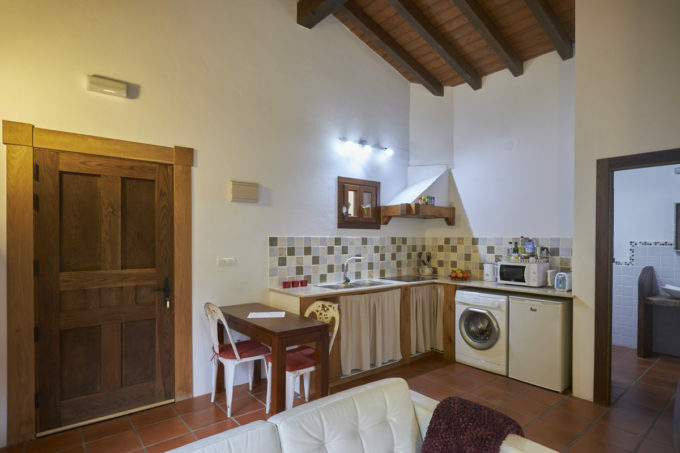 Fully-equipped kitchen. Private terrace with table & chairs looking out to stunning peaks. 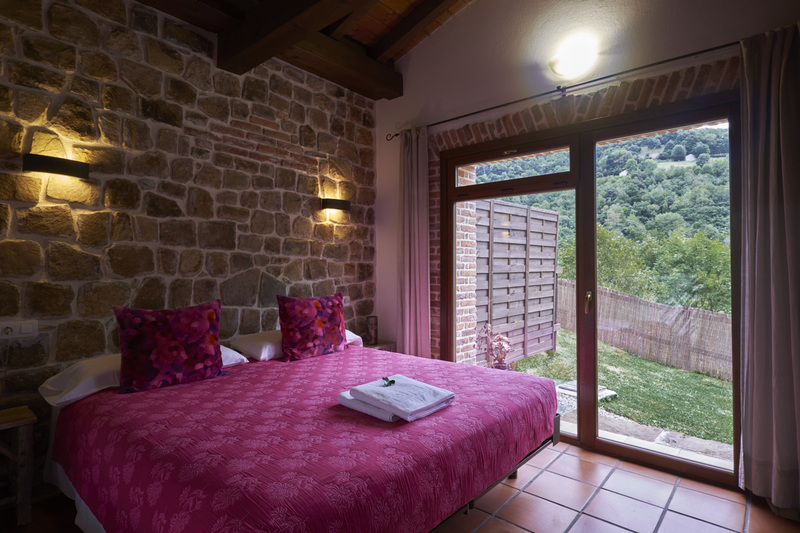 Bedroom with bath, large double bed (180×200) and views across valley to the mountains beyond. 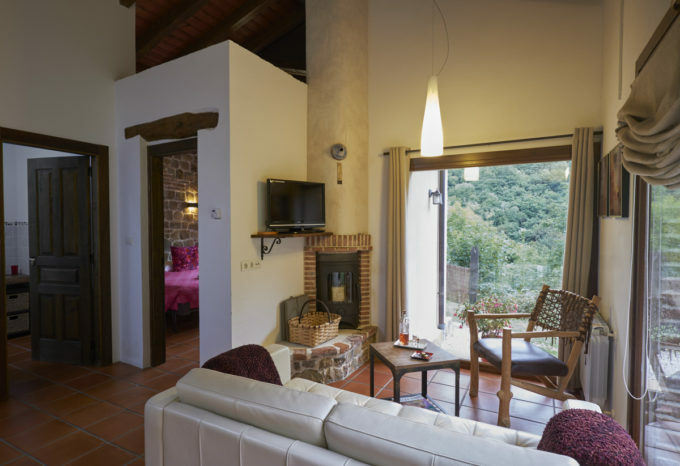 An ideal hide-away and excellent base for exploring the Picos de Europa and nearby coast.